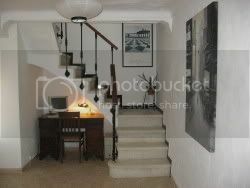 Large (213m2 built) 2 storey, 2 bedroom terraced townhouse situated in a highly desirable street at the foot of the pine tree-clad Cerro San Cristobal on the upper edge of the beautiful and historic town of Estepa, Sevilla. The property has been lovingly restored by its owner (a building surveyor) over the last 5 years and is ready to move into. 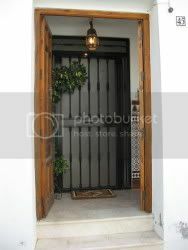 Double wooden entrance doors lead into a vestibule, tiled in traditional Andalucian fashion. An ornate glazed metal door leads into a very spacious hallway (4.3m x 2.2m) from which an archway opens into the living room (3.8m x 3.2m) (with woodburner). There is a separate dining room (3.2m x 2.5m), a traditional fully tiled Spanish kitchen (2.8m x 2.8m) complete with Zanussi electric oven, gas hob and extractor, and a bathroom, which is heated and fully tiled with Sevillana artesan tiles. From the hallway the ornate balustraded marble staircase leads to the first floor, with a large landing (3.7m x 2.6m) (which could easily accommodate a sofa bed for guests) from which open two double bedrooms (4.7m x 3.6m and 3.5m x 2.6m). 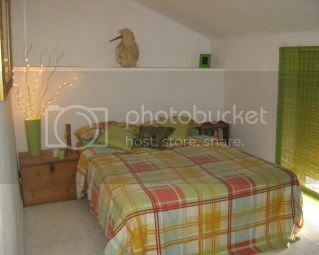 The larger, rear bedroom is air-conditioned, has a Juliet balcony with views to the garden and Cerro San Cristobal behind and has wood laminate flooring. 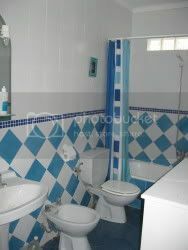 Elsewhere all floors are tiled. 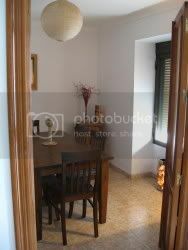 The property has been recently decorated inside and out, has mostly aluminium-framed windows with integral persianas and has a boletín/certificate of electrical safety (2004). Water is heated by means of a recent Vaillant gas fired boiler. Broadband and wifi are available. From the living room, shuttered wooden double doors open on to a large, walled patio, which is shaded during the summer by a mature vine and a lemon tree, ideal for sitting out and having barbecues, whilst plucking lemons for your G&T! A welcome feature is the mosaic-tiled splashpool (2.5m x 1.7m), perfect for cooling off in the summer. 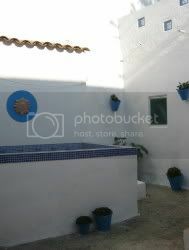 There is a large outbuilding (4.5m x 2.3m) for storing patio furniture, garden tools etc and external steps lead up to a private, tiled sun terrace. To the rear of the house is a large, terraced and fully fenced garden with apple, pear, walnut, almond and fig trees. Although this garden isn’t on the house deeds, the Ayuntamiento (to whom it belongs) has allowed it to be used for cultivation by the houseowners for over 50 years. Just please don’t think you would ever be allowed to build on it! There is pedestrian access via a lockable gate from the garden directly out onto Cerro San Cristobal behind…ideal for dog walking. 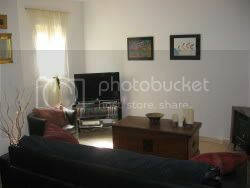 The property has a wide pavement frontage and is elevated above road level, giving it a quiet and private feel. There is plenty of on street parking directly outside the house. Estepa (population approx. 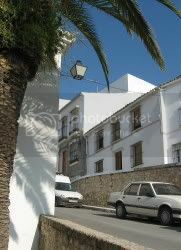 12500) is a strikingly attractive town situated in the SW of Sevilla province, virtually in the centre of Andalucia. It is famed for its Christmas delicacies of mantecados and polvorones and in the build up to Christmas the air is pervaded with the mouthwatering aroma of baking almonds and chocolate. It is bursting with historic monuments, hidden plazas, towers, churches, convents, palaces and beautiful architecture and its cobbled streets are a delight to explore. All facilities for daily living are within walking distance of the house: shops, supermarkets, restaurants, bars, banks, schools, health centre etc. Estepa’s sports facilities include an outdoor swimming pool, football pitches and tennis courts. Estepa is handily located near to the A-92 and within easy driving distance are Antequera (50km), Cordoba (80km), Malaga (90km), Sevilla (110km) and Granada (130km). There are regular bus services to Sevilla and Malaga and the new AVE (high speed) train station at Puente Genil is just a 15min. drive away. Price: 98000€ ono This is a private sale, no agents please. For more info or to arrange a viewing please PM me or call 955913956 / 646587599 but please read below first! A move to inland Andalucia requires that some thought be given to the following so that you don’t waste time viewing a property that might be unsuitable! 1. Inland Andalucia is hot in the summer and cold in the winter. Hence the need for aircon and heating despite what you may have heard! 2. Estepa is a very Spanish town. Whilst there are some British expats living in the town, there is no “expat community”, no “Brit bars” or “Brit shops” (they are however just a 20min drive away in Fuente de Piedra, Humilladero, Mollina etc). English is not widely spoken but free Spanish lessons are provided by the Ayuntamiento. 3. 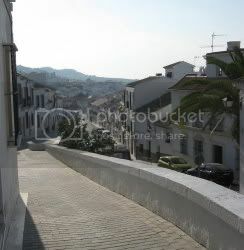 The town has some steep, cobbled streets. 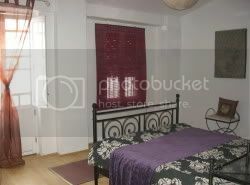 If you would prefer a flat location then Estepa will not suit you.